ALASTAIR Clarkson's genius has been on show for all to see. Down and out after an 0-4 start to the year, Clarkson's Hawthorn has now got points in five of its last six matches to keep its finals chances alive - the latest win the best of the lot. A slender six-point victory over Sydney on Friday night was its second against the Swans for the year. And it was one of grit, determination and, yet again, a bit of magic from the hand of 'Clarko'. 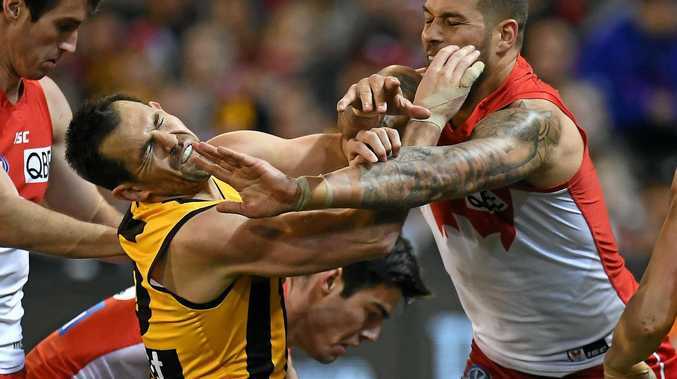 According to Hawks legend Dermott Brereton, his genius from the coaches box was once again the defining factor in an important win against the Swans - as it has been in the past. "We talked about the principles of both coaches before the game," Brereton said on Fox Footy. "Alastair Clarkson knows what John Longmire is going to throw at him. "They're a fairly forward team Sydney, so what happens is every time they get the ball in the back half they're looking to go over the line. "Hawthorn has set up really well, so Sydney has gone sideways. "I reckon once in the first half Sydney was brave enough, through a Lance Franklin kick, to go through the back of the square. They've gone slow and wide so Hawthorn can set up. "Clarkson has had his way again because he knew what Longmire was going to throw at him." Down by 21 points at the main break, the Swans kicked the only two goals of the third quarter and even hit the lead early in the final term, before the Hawks pushed back. They held possession for an incredible 60 per cent of the final quarter, denying Sydney the football and the ability to counter attack out of its defensive 50. The result was impressive, with Liam Shiels and Jarryd Roughead kicking back-to-back goals midway through the term in what proved the defining moments of the match. 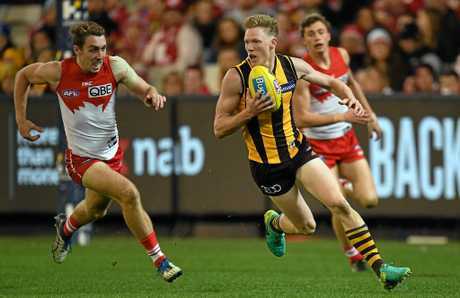 But when the Swans had the momentum, it was the Hawks who controlled things - a factor of the game Brereton believes was the result of Clarkson's methods. "He's had a huge win in the box tonight," Brereton said. "They outplayed them and, let's be honest, they had a win in the coaches box." David King added: "Especially deep. In that forward 50, they dismantled the Swans' back six, put them to test and they failed. It was more of a dominant performance than the numbers read." Hawthorn had a number of contributors, with the senior heads at the club becoming more and more important as the match wore on. Of those, perhaps Roughead had the most significant impact. The Hawks skipper ended with 24 disposals, eight marks and kicked two goals. Giving him the ability to do that was how Clarkson engineered several mismatches for him inside 50 - playing him in the midfield and giving him license to then drift forward. "The Swans want to go one-on-one and somehow and someway, Clarkson turns that back around against Sydney and uses its strength as its weakness," King said. Brereton added: "Horse Longmire is a wonderful soldier citizen and he teaches his players the right way, but Clarkson knew everything that the Sydney coaches box was going to throw at him." But arguably the most important players in the dying stages of the match were the two forwards-turned-defenders - James Sicily and Jack Gunston. Again, both have proved another masterstroke from Clarkson, with his ability to see their future in the backline one of incredible foresight earlier in the season. Sicily had 26 disposals from 14 marks, while Gunston recorded 18 disposals from seven marks - including a brave game-saving grab with just seconds remaining. "There's aspects of my defensive work that I've never done," Gunston said. "As a forward, you see the ball, you go up and you mark. 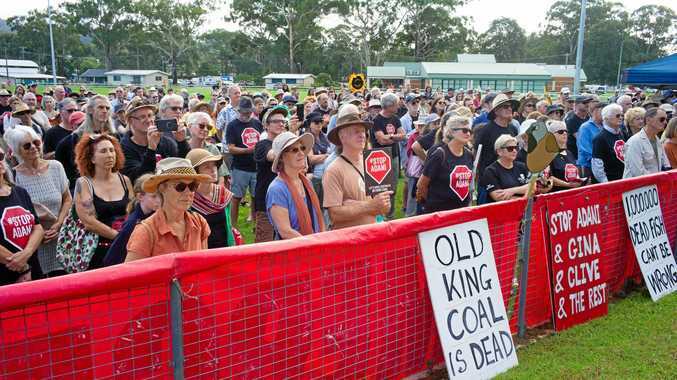 In this day and age, you can do that in the backline as well."